Last week, I talked about the current North Shore Real Estate market and the fact that it’s steadily improving! Buyers looking to jump into the home buying process this spring shouldn’t hesitate and should begin to prepare through the tips I offered. As a North Shore Real Estate agent, it’s my goal to help buyers be as prepared as possible to ensure a smooth home buying process. Today, I wanted to highlight ways you can spring clean your finances. Having things organized and knowing exactly where you are with your finances can make a large difference in buying a North Shore home. The spring market will quickly be crowded with buyers and having your financials in order will mean you can act on the North Shore home of your dreams in a timely manner. Here are a few things you can do to clean up your finances and be ready to buy when the time comes! 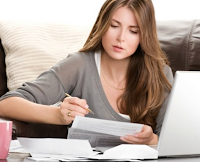 1. Review your budget- It’s helpful to make time to sit down and check your monthly budget. This will help you determine exactly how much you’re able to spend on a North Shore home. Also, if you are saving to buy a house, periodically reviewing your budget will help you get rid of unnecessary expenses allowing you to save more. Taking these steps to spring clean your finances can help you know exactly what you have to work with and will make you feel better prepared to buy a North Shore home. If you’re interested in learning more about buying a North Shore home this spring, or are interested in seeing some of the homes currently on the North Shore Real Estate market; please contact me! I would love to help you throughout the home buying process! Each month I enjoy highlighting the market statistics for a few of the North Shore communities in which I serve. The communities of Glencoe, Deerfield, Northbrook, Highland Park and Winnetka are seeing steady improvements in their real estate market along with the rest of the country. As a North Shore Real Estate agent, it makes me even more excited about the upcoming spring market as buyers and new North Shore homes will flood the market. According to a recent report from Coldwell Banker, the Improving Markets Index (IMI) shows that a net of 41 more markets were added in January from the 201 level in December. The increase in home prices is a main contributor to the fact that 47 of the total market are in metro areas. In fact, chief economist for the National Association of Realtors, Lawrence Yun, notes that “Home sales are on a sustained uptrend. Sales are being fueled by a pent-up demand and job creation, along with still-favorable affordability conditions and rents rising at faster rates.” The 4th quarter shows that the price of single family homes has risen in 88% of US cities. You may be wondering what this means for buyers as it appears the market is shifting from a heavy handed buyers market to more in favor of sellers. The good news is that mortgage rates are still low and home prices are currently low. However, acting sooner rather than later could save you thousands of dollars in the long run! Here are a few suggestions for jumping ahead of the busy spring market and avoiding being outbid in the North Shore home of your dreams. 1. Beat the Crowd- Make it clear to your agent that you want to be made aware of new North Shore homes as soon as they come on the market. This will help ensure that you are on top of the competition in seeing new homes and being able to make the first offer. You’ll also want to keep your offer deadline as tight as possible so the listing agent has less of a chance to entertain other offers. 2. Get Pre-Qualified- Many people are not able to pay all cash for a home. However, having a letter from your lender stating how much you’re qualified for will give you a boost! If you are planning an all-cash offer, be sure to have everything in order and know what your top offer will be. This type of preparation will help set you apart from other bids. 3. Aim High- If you’re still worried about other buyers’ offers taking precedence over your bid; make sure your bid is the highest. Sellers want to get the most they can from their property and will almost always take the higher bid over an all cash one. Your North Shore Real Estate agent provide a Comparative Market Analysis (CMA) of homes on the North Shore. This will give you a good idea of what other homes like the one you’re bidding on are selling for and will help you come up with a reasonable offer. These tips should give you a good jumping off point for starting the North Shore home buying process! I’m always available to answer your questions and would be glad to walk with you through the North Shore Real Estate market. Highland Park Active Listings: There are a total of 207 properties actively on the market with the average price of $1,045,891 in Highland Park. Highland Park Sold Listings: 23 properties closed last month in Highland Park with an average sales price of $408,522, the average time on market for these properties was 121 days. Deerfield Active Listings: There are a total of 102 properties actively on the market with the average price of $515,871 in Deerfield. Deerfield Sold Listings: 11 properties closed last month in Deerfield with an average sales price of $300,727, the average time on market for these properties was 116 days. Northbrook Active Listings: There are a total of 148 properties actively on the market with the average price of $647,047 in Northbrook. Northbrook Sold Listings: 40 properties closed last month in Northbrook with an average sales price of $405,706, the average time on market for these properties was 64 days. Glencoe Active Listings: There are a total of 59 properties actively on the market with the average price of $1,602,112 in Glencoe. Glencoe Sold Listings: 8 properties closed last month in Glencoe with an average sales price of $771,250, the average time on market for these properties was 76days. Winnetka Active Listings: There are a total of 102 properties actively on the market with the average price of $2,490,624 in Winnetka. Winnetka Sold Listings: 6 properties closed last month in Winnetka with an average sales price of $1,267,500, the average time on market for these properties was 167 days. Things to Love This Valentine's Day on the North Shore! 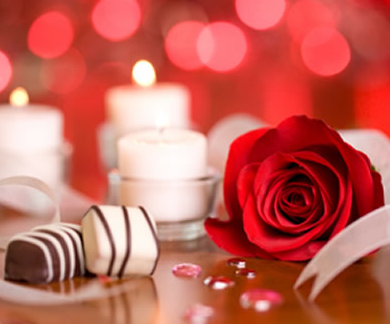 Now that we’ve entered into February, many of us are thinking about Valentine’s Day that’s just around the corner! It’s a great time to reflect on the things that we love whether it’s a significant other, family, friends, your job or your favorite hobbies. As a North Shore Real Estate agent, living and working on the North Shore is on the top of my list! I love the various communities, the people I interact with on a daily basis and couldn’t imagine myself anywhere else! If you’re looking for ways to celebrate Valentine’s Day on the North Shore, here are just a few highlights you won’t want to miss! - Chicago’s North Shore Convention and Visitors Bureau (CNSCVB) celebrates its 4th Annual Chicago’s North Shore Restaurant Month spanning the entire month of February – a great way to cure the winter doldrums. Nearly 55 area restaurants offer awe-inspiring, meals prepared for our guests suffering from cabin fever! Valentine’s Day is a great time to check out a restaurant that you haven’t had a chance to dine at or visit a North Shore favorite. Check out the North Shore Dining Deal website for a list of participating restaurants. - This annual “Valentine’s Prom” is hosted by the North Suburban YMCA and includes dancing, dessert, a raffle and a professional photograph to take home. Cost is $20/father-daughter and $5 for each additional girl. For more information, please visit the North Suburban YMCA website. - Looking for that perfect gift? Find your way into the Winnetka Wine shop where you’ll discover a variety of wines along with perfectly paired champagnes and chocolates! These make an ideal gift for your special someone, or while you’re there, pick out a fantastic bottle of wine for a cozy Valentine’s night in! Find out more on the Winnetka Wine Shop website. Getting out in the community and enjoy what there is to offer is a great way to fall even more in love with the North Shore lifestyle! If you’re interested in learning more about what it’s like to live on the North Shore, or you’re ready to take the next step and begin your North Shore home search; please contact me today!